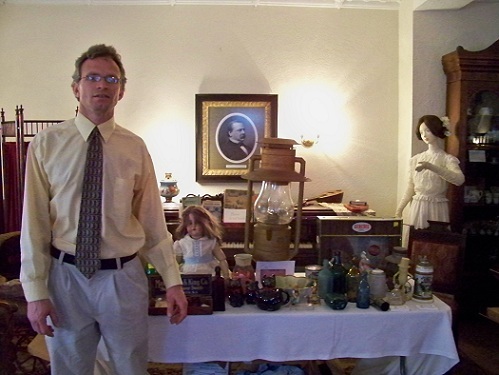 For over 20 years Peter Jablonski, of Peter J's Antiques and Collectibles, has been buying, selling and appraising antiques and collectibles. He has serviced well over 5,000 customers nationally & internationally on eBay. Maybe you've seen him at your local antique show, flea market or antique co-op in Western New York. He has also appeared on Cable Television presenting live appraisals and has professionally offered his advice to many about their antiques and collectibles. Because of his knowledge of antiques and collectibles, Peter serves as president of the Greater Buffalo Bottle Collectors Association. 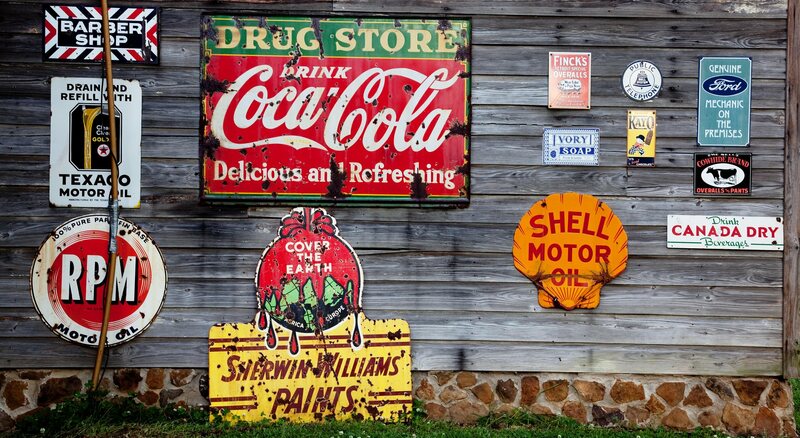 Call him to discuss the sale of your antique, treasure or unwanted item for a fair and honest price. A most intriguing presentation on treasures of the past excavated from privies or outhouse pits in the WNY area. Lecture will cover how to locate a privy, why garbage was thrown in them, history of local glasshouses and how to date bottles. Includes large display of artifacts such as bottles, chamber pots, clay smoking pipes, marbles, doll heads, coins, stoneware, china, etc... Video footage from digs will be shown. A lecture based on the book Dynamics of East Buffalo Ethnic Neighborhood by the late Fred Jablonski. Besides meatpacking, covers history of Polonia or little Poland, NY Central Terminal, Schreiber Brewery, Larkin Soap, Crocker Fertilizer. Includes overhead pictures and a large display of advertising products and tins. A PowerPoint presentation featuring history of Buffalo breweries. Pictures of breweries long gone as well as those still standing. Pictures of some of the rarest Buffalo Breweriana Memorabilia that exists. Includes large display of beer trays, signs and memorabilia. Presentation on different categories of antiques: pottery, toys, glassware, breweriana, bottles, books, post cards, collectibles. Lecture will cover what to look for when buying, where to buy, where to sell, whats hot and whats not. Includes large display of antiques. Audience is encouraged to bring items in for appraisals and play Antique Roadshow. If you think this lecture is for the birds your absolutely correct. Learn how to soar to new heights by adding new species to your life long list. Learn how to identify birds, anatomy and physiology of birds, how to attract them to your yard, migration patterns. Learn about secret places to search for birds. If these graves could speak Cemeteries are a wonderful place to walk in solitude and explore. In this lecture participants will discover the meaning of grave symbols , natural flora and fauna and history of prominent industrialists, Congressmen, mayors , NHL and MLB players buried there. by Fred Jablonski Covers history of Stockyards, Meatpacking, Central Terminal, Crocker Fertilizer,Schreiber Brewery, Broadway Market, Precious Blood Church, Larkin Soap. Fabulous Photos of Breweries along with history of each. Also includes pictures of Landmark buildings in Buffalo and Niagara Falls.